With the growth of natural preservatives on a global level, the market for natural antimicrobials will also escalate. The increasing demand for clean-labeled food commodities is boosting the food preservatives market. . Stringent government regulations on the manufacturing of synthetic food preservatives open the opportunity for players to enter the natural food preservatives segment. Natural food preservatives are relatively convenient to procure, which is one of the major drivers for the natural antimicrobials market. Increased demand for clean-labeled food products have given an enormous opportunity to the manufacturers to enter the market with their innovative natural preservatives product line. Owing to these driving factors, the demand for natural antimicrobials is likely to show exponential growth. The consumption demand for frozen products is escalating at an incremental pace, which directly influences the growth of natural antimicrobials market. Surge in the demand for packed frozen products, with low shelf-life, has been driving the growth of natural antimicrobials market. Natural antimicrobial has an important role in increasaing the product shelf-life as well as preserve the food product from the microbial attack. As per MRFR analysis, the global natural antimicrobials market is segmented into North America, Europe, Asia-Pacific, and Rest of the World. North America is projected to retain its dominance throughout the forecast period, owing to the rise in the consumption of natural antimicrobials in packed food products. The market in the region is estimated to reach USD 322.34 million, in terms of value, by 2023. However, the Asia-Pacific natural antimicrobials market is projected to expand at a CAGR of 8.58% during the forecast period, 2017-2023. The global natural antimicrobials market is segmented into type and application. By region, it is segmented into North America, Europe, Asia-Pacific, and Rest of the World. By type, it is segmented into microorganisms, which is further sub-segmented into nisin, natamycin, undefined microbial fermentates, and others; plants, which is further sub-segmented into essential oil, phytoalexins, phenolics, citrus oil, and others; and animals. Among all, the plant segment is projected to account for the significant market proportion. This segment is projected to grow at a CAGR of 7.79% during the forecast period. By application, the market is segmented into bakery & confectionery, dairy & frozen desserts, beverages, snacks, meat products, oils & fats, and others. The dairy & frozen desserts segment is dominating the market, and is projected to grow at a CAGR of 7.27% during the forecast period. The leading players profiled in the global natural antimicrobials market: E. I. du Pont de Nemours and Company (U.S.), Royal DSM NV (the Netherlands), Univar Inc. (U.S.), Kemin Industries, Inc. (U.S.), Galactic S.A. (Belgium), Chr. Hansen A/S (Denmark), Brenntag AG (Germany), Siveele B.V. (the Netherlands), Cargill, Incorporated (U.S.), Handary SA (Belgium), BASF SE (Germany), and Celanese Corp. (U.S.). North America is estimated to retain its dominance throughout the forecast period and will grow at a CAGR of 8.15%. Among the North American countries, the U.S. is projected to witness a substantial growth of 8.49% during the forecast period of 2017-2023. Application of natural antimicrobials in dairy & frozen desserts is witnessed to be the fastest growing segment over the forecast period. The segment is projected to reach USD 226.57 million by 2023. As per MRFR analysis, the global market for natural antimicrobials is expected to witness continuous demand during the forecast period, owing to the rising demand for natural antimicrobials by the convenience and packed food products manufacturers in order to extend the product shelf-life. 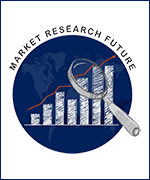 The global natural antimicrobials market is expected to reach USD 826.89 million by the end of 2023, at a CAGR of 7.38% during the forecast period. North America is projected to dominate the market, followed by Asia-Pacific.